Cuba is the largest of the Greater Antilles islands, because of its beauty it has earned the name “Flor de las Antillas”. The crown jewel of the My Father brand name, the Antillas is considered by many to be one of the finest cigars ever rolled. 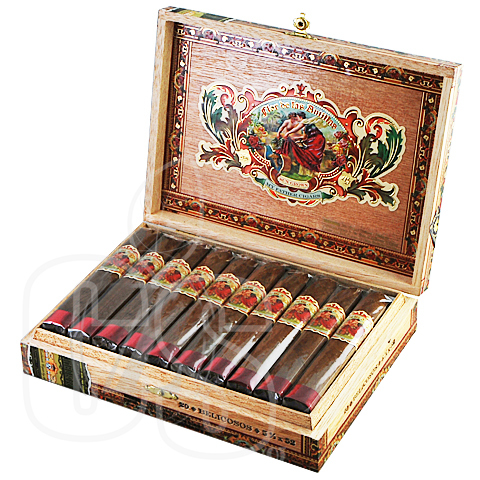 An all-Nicaraguan blend of tobaccos and a Nicaraguan binder is rolled in an absolutely stunning Nicaraguan Sun grown wrapper, showing off the flawless construction. The draw is velvet smooth and encompasses a whole bundle of flavors that hit notes of cocoa, nutmeg, white pepper, and earth that are all balanced to perfection. Given a thundering “96” rating as well as the accolade of #1 Cigar of the Year, this cigar is literally unrivaled and unmatched. Great smoke, amazing line. Super quick shipping. Will buy again.